Motorola has announced Moto Smart Speaker attachment for Moto Z smartphones. 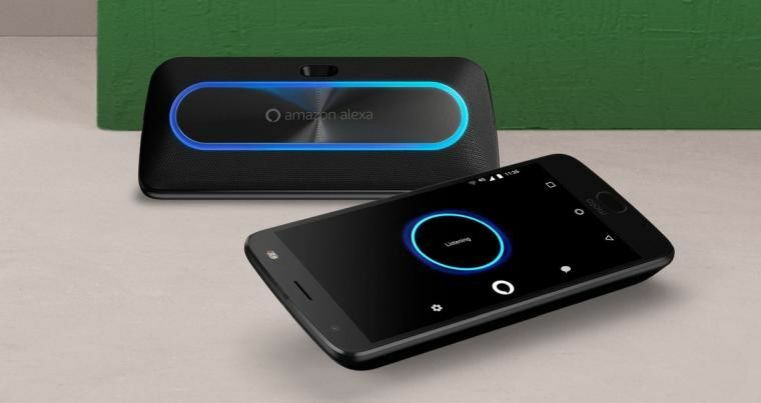 Moto Smart Speaker is powered by Amazon Alexa. 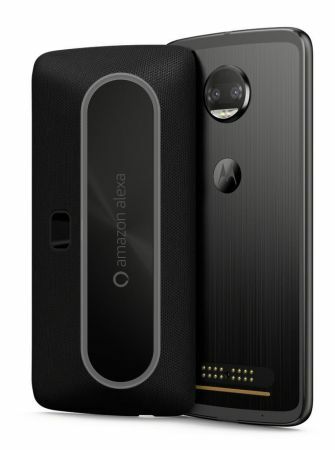 Like every Moto mod, the unit attaches magnetically to the back of the Moto Z phones. When attached, the 8W, 27mm dual speakers can act as a stand so the screen faces the user. The screen then doubles as an Amazon Spot to show off results. In addition, it has four microphones. The mod is about 22.8mm and comes with a 1,530 mAh battery, which can last up to 15 hours with “mixed use” on a 4G LTE network. This spec is of course dependent on factors like network configuration and app usage patterns. The unit also will work untethered from an in-home Echo. The new Moto Smart Speaker is a logical set for Motorola, given that parent company Lenovo announced a Amazon Alexa Smart Assistant partnership at CES in January. The new mod will be available for $150 in November for $149.99.